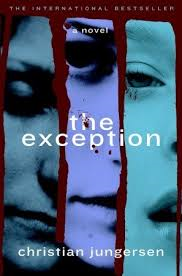 The Exception by Christian Jungergsen is one of those exceptionally good books that one doesn’t expect to be neither exceptional nor good. Found by total chance and randomness, The Exception didn’t promise anything exceptional. It started off fairly slowly, it lacked particular literary wit and it seemed to be a rather boring read spanning into 512 pages and endless hours. And yet slowly, The Exception draws the reader into an increasingly paranoid anc claustrophobic society, in which no one is what they seem to be. Set somewhat peacefully in a small non-for-profit organisation in Copenhagen, The Danish Center for Information on Genocide (DCIG), which disseminates information on genocide, the novel follows the increasingly disturbing relationships between the four women working there. After two (and later three) of them receive death threats, the suspicion quickly turns from a persecuted Serbian torturer and war criminal to each other. The suspicion and fear soon turn seemingly ordinary people into enemies and a seemingly normal office into a pure battlefield. Friendships are no longer what they used to be and survival against an unknown threat becomes a scary driving force. Told alternatively from the perspective of the four women, Iben, Malene, Camilla and Anne-Lise, The Exception disects the natural of evil and paranoia, and the obsessions that drive ordinary people to commit unthinkable acts. Iben and Malene, are the youngest and the oldest friends in the team and understandably become the strongest force. Camilla, a bit older than them, manages to attach herself to the winning side, which leaves Anne-Lise as the scapegoat. Being a victim of extensive office bullying, I can vouch it’s terrible. Ignoring, confronting, crying, yelling, acting nice – nothing really diminishes the hunger of the torturer, especially when the victim is alone and new. The inner lives of the four women, their worst fears and most fervently kept secrets are revealed as everyone soon turns on to everyone else and alliances are shattered and reborn. Christian Jungersen creates a unique and intelligent thriller, which, though it lacks particular literary qualities, manages to haunt the reader by manifesting the nature and power of evil. Alongside the main story, a separate story within the story elegantly discusses the nature of evil. As the women prepare articles on genocide, they touch on the ultimate subject – what makes people evil. Are we just born good or evil, do circumstances make us like that or is it something even more complicated? Analysing one of the most devastating moments in history, the Holocaust, research has found that most people turn evil not out of fear of punishment or out of pure evilness of heart, but out of respect for authority and even more out of solidarity – the fear not to abandon, or worse, be abandoned. The greatest human fear – the fear of being alone and left out – is what would make people commit even the unthinkable. Good people are capable of committing evil acts and continue their lives as normal – either by repressing the memories or in extreme cases splitting into two personalities, one of which absolutely unaware of what the other did. Christian Jurgensen’s psychological novel goes beyond the daily issues of four women – it goes on to examine the inhesion of evil, the driving forces behind it and the ultimate price everyone pays. And what better a setting than an unhappy and claustrophobic office. The ending does justice to the novel as well – disturbing, painful, and yet exactly what each of the characters really deserved. He’s been laying siege to these walls for years, and now she’ll let the gate swing open after the gentlest of knocks. Despite all deliberation, sense, insight and sober reason, I could not fail to recognize within myself the furtive and yet – ashamed as it might be, so to say, of its irrationality – increasingly insistent voice of some muffled craving of sorts: I would like to live a little bit longer in this beautiful concentration camp. Reading a book from every single country in the world has turned from a mere project to a difficult challenge. While unsuccessfully trying to manage work and sleep (with work more or less always the ultimate winner) reading has been reduced to those 20 mins in the tube in the morning, while I desperately try to keep my eyes open. While I love reading, I probably love complaining about my job more. Searching for ways to optimise even more my reading experience, I decided to attempt and combine two projects in one – continue reading a book from each country, but also honouring all Nobel prize winners (whose countries I still haven’t visited with a book). The first, Hungarian and concentration camp survivor Imre Kertesz, won the Noble prize in 2002. His debut novel Fatelessness, though, already shows the immense talent of a writer, who portrays the unimaginable – life in one of the Nazi’s death camps. 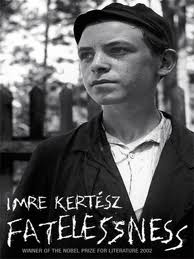 The semi-autobiographical novel follows the story of Georg Koves – a 14-year-old Hungarian Jew who is captured by the Germans and send to all of the “famous” concentration camps – Auschwitz, Buchenwald and eventually Zeitz. A fairly normal working day turns for the worst and Georg, along with many other boys his age, finds himself on the train to death. It seems strange but all the famine and torture associated with the death camps seems to pass by Georg unnoticed. For most of the time he feels like a distant observer, describing something that is not quite happening to him but to someone he barely knows. Unlike many others Georg feels no sense of belonging to the Jewish community. He feels no hatred towards the Germans. He feels no sense of revenge. Sometimes one might say he is devoid of any feelings towards his situation. Without questioning his destiny, Georg accepts every obstacle on the way, as if this is quite the normal existence. Upon returning from the camp Georg is as indifferent to the experience as before. While it seems he is quite disconnected from the destiny of his fellow inmates, probably this indifference is the one thing that saves his sanity. While many others seek for reasons for their misery, Georg accepts and forgets it. He refuses to blame anyone, be it the Germans, or himself. He refuses to remember and he assigns all of his experiences to someone else, distant and unknown. Georg is hardly sympathetic to the reader, but he is quite real – real in his complete numbness towards the painful reality that surrounds him. Imre Kertesz uses his own experiences in the German concentration camps to portray a rather different intake of the Holocaust. The novel doesn’t blame, doesn’t explain, doesn’t attempt to comprehend cruelty that is beyond any comprehension. It states the facts – through the eyes of Georg – and lives the decision to the reader. Is it better to live with hatred and bitterness or to ignore and to forget? Това е нещото, което ме притеснява: не мога да забравя Каркоса, където черни звезди натежават в небосвода; където сенките на мислите се удължават с настъпването на вечерта и двойните слънца потъват във водите на езерото Хали. А споменът за Бледната маска завинаги ще остане впечатан в ума ми. Моля се на Бога да прокълне твореца, както самият автор на пиесата е проклел света с това красиво, покъртително творение, ужасяващо в чистотата си и неустоимо в истинността си…Свят, който трепери пред Краля в жълто. Отдавна се точа на “Кралят в жълто”. По-точно откакто изгледах великолепния “True Detective”, който е вдъхновен именно от мрачните и обсебващи разкази на Чеймбърс. Самият сериал е именно такъв – мрачен и обсебващ, държащ те до късно, каращ те да спираш през 10 минути, за да си запишеш поредния цитат на героя на Матю Макхонъхи, който забива със страшна сила точно в целта. 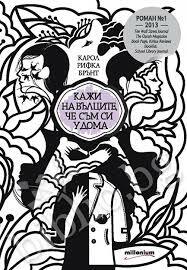 За първи път не очаквах книгата да е по-добра от екранизацията (било и то съвсем различна екранизация). Силата на “Кралят в жълто” е във визуалното и звуково представяне на един почти апокалиптичен свят, в който свръхестественото и човешкото съществуват в пълна хармония. Сборникът започва ударно – още първият разказ потапя в света на Жълтия знак, където желанието за власт и идеята за превъзходство карат един млад мъж (подобно на героя от сериала) да извърши какви ли не престъпления. По нататък Чеймбърс съвсем не става по-лек или по-лесно смилаем. Следват един любовен триъгълник трагично прекъснат от стремеж за научно величие, художник, преследван от дявола, който иска да открадне душата му, едно преоткриване на загубената любов в една котка, един пазач на храм, който докарва до лудост околните и т.н. Дотук Чеймбърс съвсем добре оправдава славата си на един от основоположниците на “хоръра” като жанр. И изведнъж по средата на сборника виждам един съвсем друг Чеймбърс – Чеймбърс, комуто най-нежните трептения на сърцето не са никак чужди, Чеймбърс, който разбира, че колкото и ужасен да е светът, всяко живо същество има нужда от малко любов и романтика. Из френските улиците младите се влюбват, разделят се и пак се събират, а авторът ги гледа с разбиране и малко съжаление. Един съвсем различен Чеймбърс ни посреща във втората част – не по-малко въздействащ и впечатляващ. “Кралят в жълто” се чете на един дъх и лека полека отвежда в странни и неподозирани светове. Почти нищо общо със сериала, освен че и двете докосват най-скритите ни сетива и ни карат да се замислим кое е истинско и кое не. Три неща има, които са непостижими за мене. Дори четири, които не разбирам: Следите на орел по въздуха, следите на змия върху канара, следите на кораб всред морето и следите на мъж при девица. April 26, 1986. Early morning. The worst nuclear accident occurs close to the Ukrainian village of Pripyat. The friendly atom has striken – and the aftermath is worse than anyone could have possibly imagined. The USSR attempts to contain the spread of information, but not the spread of the radiation. The result: more than 3/4 of Europe is affected, more than 1 million Belarussians suffer from some sort of post-radiation effects (cancer, acute radiation sickness, other health problems). Sadly, nearly 30 years after the explosion of reactor 4 the area surrounding Chernobyl and the now deserted town of Pripyat is turned into an entertainment centres. In exchange for a substantial sum you can go and experience the nightmare millions would pay much more to never have experience. Unfortunately, most of them paid with their lives or with the lives of their most loved ones. Svetlana Alexievich’s Voices from Chernobyl is the first book to present the personal stories of common people affected by the Chernobyl disaster. It’s also among the first to unveil the information Soviet officials withheld for so many years. I couldn’t possibly imagine what Alexievich might have felt while she spoke to those people. I thought there is possibly no way that the next story is going to be more tragic and more despairing than the last and yet it was. Women, who have lost their husbands. Fathers who have lost their children. Friends who have lost their friends. And people who have lost their health and their lives. What makes Voices from Chernobyl so powerful is the fact that the book presents exactly that. The voice of Svetlana Alexievich is rarely heard – she gave the microphone to those suffering people and let them share their pain in their own words, through their own reflections. It felt as if they waited for so many years to express the unbearable suffering they had to go through, to say openly to the world what exactly happened back then and back there. Hours after the explosion the Soviet government had already began covering up the disaster. It’s true they didn’t know the exact effect of radiation on people – nobody knew because never before had something like this occurred – and yet they were extremely negligent, possibly looking to save their own a*ses. liquidator, soldiers, random men with Party cards were sent with no equipment and no protection to the site hours after the reactor exploded. Most of them died – quickly and more terribly than imaginable. The first story from the collection is exactly by the wife of such a liquidator – and her pain as she sees her husband transform from a human being into a monster. Within hours and days. People were being evacuated, animals were being killed, food was being confiscated. And yet at the same time scientists were silenced and the broader community was kept at ignorance as to the exact scale of the tragedy. Nobody told people to immediately stop eating or drinking anything from the region, to throw away all of their clothes, to immediately start drinking iodine. A liquidator that came back from the site gave his hat to his proud son – who contracted brain tumour 2 years later. It was surprising (and rather depressing) to learn that most of the men send to Chernobyl to clean up felt proud – they felt they were serving their country but little did they know that they were giving their country their most priced possession. In times of despair vodka, the memories of their loved ones and the dream of returning a hero kept these men standing. It’s devastating to know that all they got for their bravery and sacrifice was a medal and cancer. Alexievich gives voice to all those silent stories – liquidators, soldiers, teachers, children, old people who refused to leave their homes, refugees from war for which the Chernobyl area was the only safe place, Communists, generals, defendants of the regime, scientists, regular people. All of them suffering in their own way, all of them simply wanting to shout to the world their pain – the pain inflicted by a disaster a few could have prevented and effects many could have diminished. 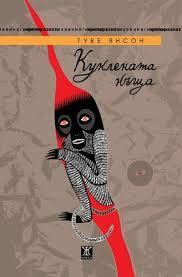 One of the most touching collection of stories, which would hardly leave anyone indifferent. Where we are from says one character stories are factual. If a farmer is declared a music virtuoso by the state, everyone had better start calling him maestro. And secretly, he’d be wise to start practicing the piano. For us, the story is more important than the person. 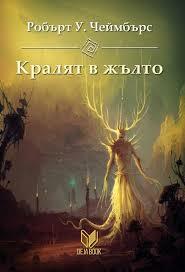 If a man and his story are in conflict, it is the man who must change. Everything hidden, mysterious and ultimately forbidden strongly attracts the imperfect human nature. The majority of people have already forgotten the meaning of the word “forbidden” – anything that even remotely attempts to take away their freedom – be it freedom of speech, act, or information – must be ultimately tackled and conquered. It’s understandable, then, that North Korea, a country completely shut out of the rest of the world, is a topic of constant interest and rumours. Nobody knows with 100% certainty what happens behind its closed doors – some say enemies of the regime are thrown to hungry dogs, others claim rich people live more or less the same life as you and me. When the time came for my book from North Korea, I was torn. Should I read something that has passed the strict eye of the Party, keeping in mind that all (or most of it) is pure propaganda? Or should I look for a book about North Korea from a more objective, yet distant and probably uninformed source? 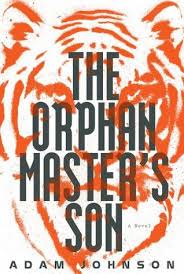 The Pulitzer-winning novel The Orphan Master’s Son by Adam Johnson leaned the scales in the later direction. Jun Do (read John Doe), as the name suggests, has no defined identity. Born to a mother, who is stolen to be a singer in the capital of Pyongyang and a father who runs a work camp for orphans, Jun Do names himself after a saint and sees himself as part of the other orphans. The mystery of his mother’s disappearance haunts him throughout his life and leaves an unbearable emptiness, one that he seeks to fill with other women in need. Because of his skills, Jun Do, for better or for worse, catches the attention of the state. Throughout his life Jun Do plays numerous roles – some chosen for him by the state, others chosen by himself. He becomes a fighter in the pitch-dark tunnels under the demilitarised zone, a kidnapper, a spy at sea and after a failed mission in Texas, a prisoner in a mining camp. Here ends the life of the Jun Do we know – for he is to be reborn into Kim Jong Il’s greatest enemy. In a state, which takes any identity and choice from its citizens, love and compassion towards another human being can be the biggest liability. I am far from the idea that Adam Johnson’s depiction of life and death in North Korea is the ultimate truth. The author shares that his information is based on interviews with North Korean defectors as well as on a personal visit to the DRK. Of course, the accuracy of the information depends on the nature of the source. The defectors might have been corrupted. The reality presented to Johnson on his visit was most probably fabricated – he was allowed to visit pre-approved places and to talk to already trained people. Nevertheless, Adam Johnson skillfully imagines himself into the cruel world of Kim Jong Il. His depictions are so real and believable that one almost feels his world is the alien one, and not North Korea. Jun Do grows from an instrument of the state to its victim, from a faceless representative of The Greatest Nation in the World to a powerful and fearless man. Through numerous points-of-view – Jun Do himself, a state interrogate and the state propaganda – Johnson portrays a cruel and ruthless world with short fleeting moments of beauty and love. Too short to be satisfactory, too long to be forgotten. The darkness inside your head is something your imagination fills with stories that have nothing to do with the real darkness around you. Jun Do gave the smile that puts people at ease in the moment before you strike them. Someone will save you, he thought. If you just hold tight long enough, someone’s bound to. Never let pain push you into the darkness, Kisman said. There you are nobody and you are alone. Once you turn from the flame, it is over. To survive in this world, you got to be many times a coward but at least once a hero. In communism, you’d threaten a dog into compliance, while in capitalism, obedience is obtained through bribes. I would’ve driven off the bridge and killed us both to make that moment last forever, such was my love for Sun Moon, a woman who was so pure, she didn’t know what starving people looked like. The next day, she was silent. For breakfast, she murdered an onion and served it raw. Compared to forgetting, did living really stand a change? 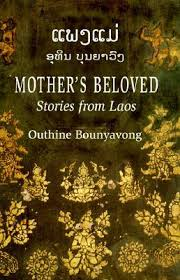 Given this was the first (and to the best of my knowledge the only) collection of Lao short stories to become publicly available in English, I hardly had any choice as to what to read from the South-East Asian country. Quite usefully, though, the book was available from Amazon and after about a month of waiting (I guess they had to dig it out) I received a rather unexpected novel. On one half of the page was the original text in Laotian, on the other side – the translation in English. As I was about to see, this trick was as much about upholding traditional Laotian culture, which was on the verge of extinction one too many times, as well about filling enough pages to justify publishing. The history of Laos has been far from happy and uneventful. The little state went from being a Thai colony to a French one, got involved in the Indochina War, was severely bombed by the Americans during the Vietnam War and on top of that ended with 15 years of communist government. Since the fall of the USSR it has liberated somewhat, although there is still only one approved party – the Lao People’s Revolutionary Party. Most of the short stories in Mother’s Beloved were written during the communist rule – the simplicity of the situations are typical for a regime, in which too much ambiguity is mostly regarded as politically suspicious. For the experienced reader it felt as reading fables. Bounyavong’s characters are faced with moral dilemmas, the resolution of which clearly demonstrates what the ideal citizen should be – humble, respectful, following traditional Laotian values and condemning any enemy of the state. In theory these are not bad qualities at all – in practice, though, the communist propaganda is ever so visible. I try not to criticise Bounyavong too much – for the only way to be published in Laos at that time was to please the ruling party. A country that has gone through numerous oppressions and influences is struggling to reclaim its literary identity – and the only way to do that is to oppose any former influences. Bounyavong was originally influenced by the French and brought up to admire French literature. When Laos was liberated (or in other words when from one oppression to another) he began admiring the literature of revolutionary communism and its supporters. Both colonialism and communism looked down upon traditional Lao views as being retrogressive and lacking in modernity. In his short stories Bounyavong attempts to contrast such traditional values with modern phenomena, while conforming to communist rules. I wouldn’t say the result is great. Nevertheless, the helpful introduction of the collection as well as some of the stories, which weren’t as naive as others, presented a good first step in understanding Lao literature. Of course, it’s worth nothing that there are very few alternatives from which to choose in English. Ако някога разполагам с много пари, ще си купя гора. Ще я оградя със зид и ще си живея там, както са живели едно време. Може и да намеря някого, който да пожелае да остане с мен. Стига да ми обещае, че няма да обели и дума за настоящето. Но едва ли ще открия такъв човек. До този момент не съм попадала на никого, който да ми обещае подобно нещо. Кажи на вълците, че съм си у дома. Кажи им, че съм готова и не ме е страх да ги срещна. Оголената ми душа ще се изправи срещу оголените им зъби. Моята страст ще срещне тяхната ярост. Не знам кой ще победи, но знам, че не ме е страх да бъда това, което съм. Не ме е срам да им покажа, че съм различна, ранима, изплашена. Знам, че надушват слабостите ми и са готови да ги използват срещу мен. Да ме изобличат пред света, да му покажат грешките и паденията ми и да ми се присмеят. Аз съм готова. Кажи на вълците, че съм си у дома. Кажи им, че ги чакам. “Кажи на вълците, че съм си у дома” е прекрасен пример за това каква трябва да е литературата за тийнейджъри (или за подрастващи, ако мразим англицизмите). За разлика от “Вината в нашите звезди”, която създава едни мелодраматични и многострадателни образи, които (особено главната героиня) едва ли не благодарят на рака, че се е появил и ги е срещнал. Ами не – смъртта (и ракът, и СПИН, и какво ли още друго) са си доста отвратително нещо. Няма лошо в оптимизма – стига да е на място, а това съвсем не е така в така прехваления роман на Джон Грийн. Но да се върнем на “Кажи на вълците, че съм си у дома” на Карол Рифка Брънт. Това е роман за загубата такава, каквато наистина е – непоносима, болезнена, унищожаваща всяка жива клетка в тялото ти. 12-годишната Джун губи единствения човек, който някога я е разбирал. Вуйчо и линее от болест, която хората са се срамували дори да произнесат през 90те години. Сестра и Грета губи детството си в името на неосъществените мечти на родителите си. Майката на момичетата губи братът, който тъкмо отново е открила. Тоби губи единственият мъж, който някога го е обичал, въпреки това, което е. Почти всяка страница е промита с толкова мъка, така истинска и осезаема, че е невъзможно да остави дори и най-върлия циник безразличен. А вълците се притайват в тъмното, в ъглите на къщата, във фона на картините, в дебрите на гората, готови веднага да се нахвърлят към този, който не се вписва в тяхната глутница. “Кажи на вълците, е съм си у дома” е едно безкрайно плачене – от първа до последна страница. Без излишни мелодраматизми и изкуствен отпимизъм Карол Рифка Брънт с майсторство рисува загубата, която се превръща в привързаност, за да се разпадне още по-бързо и болезнено. Една страхотна книга за всички непораснали деца в нас. Струваше ми се, че най-сетне разполагам с доказателство, че дните не са еднакво дълги, че времето невинаги тежи еднакво. Доказателство, че съществуват най-различни светове, надградени един върху друг, стига да искаш да бъде така. Наистина се чудех защо хората се занимават с неща, които не хареесват. Понякога ми се струваше, че животът е някакъв постоянно стесняващ се тунел. Когато се раждаш, тунелът е широк. Но само миг след това се стеснява наполовина. Ако си момче, вече е сигурно, че няма да бъдеш майка и е твърде вероятно да не станеш маникюрист или учител в детска градина. Докато растеш, тунелът постоянно се стеснява. Ако паднеш от някое дърво и си счупиш ръката, зачеркваш възможността да станеш бейзболист. Ако изкарваш само двойки на контролните по математика, зарязваш мечтата си да бъдеш учен. Ето така отминават годините, докато накрая не се заклещиш някъде. 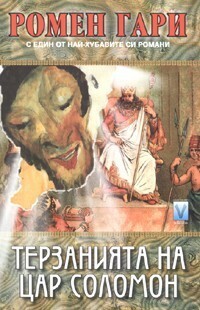 Като хлебар, библиотекар или пък барман. Или счетоводител. И това е. В деня на смъртта ти тунелът е толкова тесен, натоварил си се с толкова много направени избори, че накрая просто те смачква. Може би ми беше писано да се влюбвам в хора, които не мога да притежавам. Може би имаше най различни недостижими мъже, които ме чакат да ги намеря. Чакат да ме накарат да изпитам същата невъзможност отново. Много често наивно ни се иска да вярваме, че животът е низ от случки и събития, които ни оставят без дъх (било то добри или лоши). Преминаваме тичешком, почти на сън, през дните, в които не се случва нищо интересно и които следват обичайния си път, и стремглаво се устремяваме към онези дни, които ще ни разтърсят из основи и ще променят житейския ни път (отново, било то за добро или за лошо). Някак си в този водовъртеж не разбираме, че от първите в животът има прекалено много, а вторите вечно не достигат. И отнова така грешно игнорираме първите – смятайки наивно и доста глупаво, че в тях няма нищо, от което да извлечем полза, още един загубен ден, в който ставаш, ядеш, работиш и спиш. И чакаме ли, чакаме да дойдат вторите, а те, горкичките, идват толкова рядко и за толкова кратко, че остават почти незабелязани. Не остава нищо друго освен май-май да се фокусираме върху първите. Това прави и Туве Янсон в своя сборник за възрастни “Куклената къща”.Натъртвам на “сборник за възрастни”, защото всъщнот Янсон е известна повече като детска писателка. Освен това е и художничка, и скулптурка и какво ли още не. Родена в артистично семейство, Янсон от малка поема по пътя на изкуството, скачайки от едно на друго с още по-голям устрем и успех. Не съм чела разказите и за деца – но мога да кажа, че разказите и за възрастни са едни от най-прекрасните разкази, които въобще съм чела. Простичко и без излишно доукрасяване и патос Янсон рисува своите герои – и те като нея артисти. В разказите на Янсон на пръв поглед излиза ежедневието – онова скучно и сиво ежедневие в залеза на живота (или кариерата) на един човек. Онова скучно и сиво ежедневие, което всеки ден лека полека те трови. Човек се хваща за каквото може. Строи куклена къща, за да избяга в нея от своята собствена. Търси любовта измежду коловозите, за да осъзнае, че винаги ще бъде сам и неразбран. Танцува и пие до забрава, въпреки че отдавна е възрастен за тези неща. Опитва се да общува с хората, но разбира, че единственият му приятел е една отвратителна маймунка. Показва любовта към най-близките си по малко странен и груб начин и не винаги успява да ги предпази. Туве Янсон рисува едни откровено трагични истории, но някак си съумява да запази доза оптимизъм – или поне реализъм. Това е истинският живот, този, който ни подминава ден подир ден. Това са и проблемите, които ни чакат. Решението понякога е толкова абсурдно, колкото и самия проблем. Туве Янсон е била чудачка и в живота, и в разказите. Определено едно от най-хубавите неща, които съм чела от много време насам. For even the beloved’s imitation is worthy, in love’s eyes, of adoration. When I was quite young and I was just getting introduced by my mom to the magical world of books, we had a Saturday day ritual. We would go to this famous square in Sofia (“Slaveykov” for the Bulgarians out there) and we would spend hours looking through the old and the new books. I knew what I was looking for – a crime novel by Agatha Christie featuring the infamous Hercule Poirot, which I hadn’t yet read. By some point the task became almost impossible – I was a person possessed and I had read every single story with Hercule Poirot. I moved on to Miss Marple (who I didn’t like that much) and I had no peace until (almost) every book by Agatha Christie was in my possession – carefully read and utterly admired. Then puberty hit me (along with all the fun, drama, desperation and self-loathing) and I was too busy with other endeavours, which I am not particularly proud of, so reading was a thing of the past. A couple of years ago I did go back to reading with an even bigger enthusiasm but it seemed I no longer needed the thrill and mystery of detective novels. Murder on the Leviathan in that sense was a challenge for me – to see how much my perception from the times I loved Poirot to now has changed. Murder on the Leviathan is a classic “closed room” mystery novel with a lot of potential and a sharp sense of humour, which led to a couple of loud giggles from my side on the tube. Paris, end of the 19th century. The eccentric Lord Littleby, a collector of rare Indian treasures is brutally murdered in his home. Alongside with all of his servants. A golden statue wrapped in a priceless Indian shawl is missing. The murderer, however, made one mistake, leaving a clue that suggests he/she is one of the passengers on a large steamship,the Leviathan, travelling on its maiden journey from Southampton to Calcutta. Police commissioner “Papa” Gauche, a somewhat funny and clueless version of Hercule Poirot is in charge of the investigation. By identifying ten key suspects and placing them in the same dining room throughout the journey (which I found a bit easy and simplistic to be honest) he begins his theories of conspiration. He is not the real hero, though. A mysterious Russian diplomat, Erast Fandorin, is the true master mind of the investigation, rebuking Papa Gauche’s stupid theories and eventually solving the mystery. Apparently, he is quite a character, featuring in numerous Boris Akunin novels (most prominently in The Winter Queen, which should have been the one I read…) and his style and process of deduction very much remind of the prominent Sherlock Holmes. All good, yet I failed to be impressed by Akunin. Most of the suspects were one-dimensional characters – stupid but self-confident Papa Gauche, eccentric and rather crazy Englishman, misunderstood Japanese, a spoiled wife of a Swiss banker, etc, etc. Limiting a whole ship of suspects to just a few people seemed a rather easy escape for Akunin. Finally, the ending didn’t leave me in awe – I rarely do, but now I guessed the murderer half-way through and his/her reasons for committing the crime seemed rather shallow and underdeveloped. 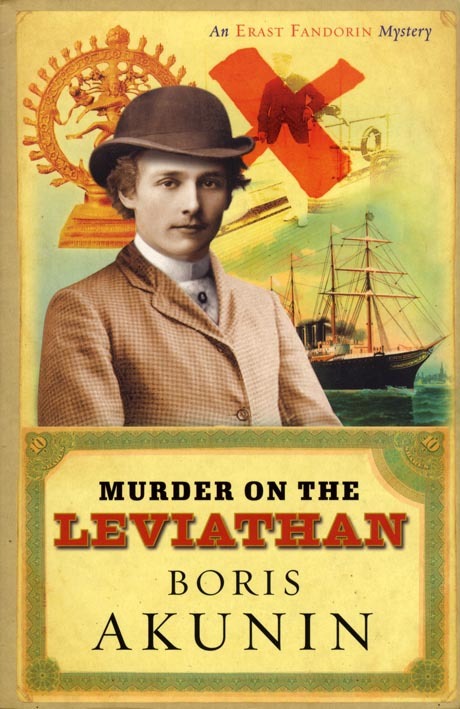 Still, Erast Fandorin is a charming and enchanting character and the few jokes here and there made Murder on the Leviathan sort of good read. I must say, though, my passion for detective novels hasn’t disappeared even a bit – it’s just that Akunin is not exactly my type of cake.